The patella bone connects the muscles of the thigh to the front of the tibia, or lower leg. As the muscles work to aid in flexion and extension of the knee, the patella slides across a small groove, known as the femoral groove, on the thigh bone. 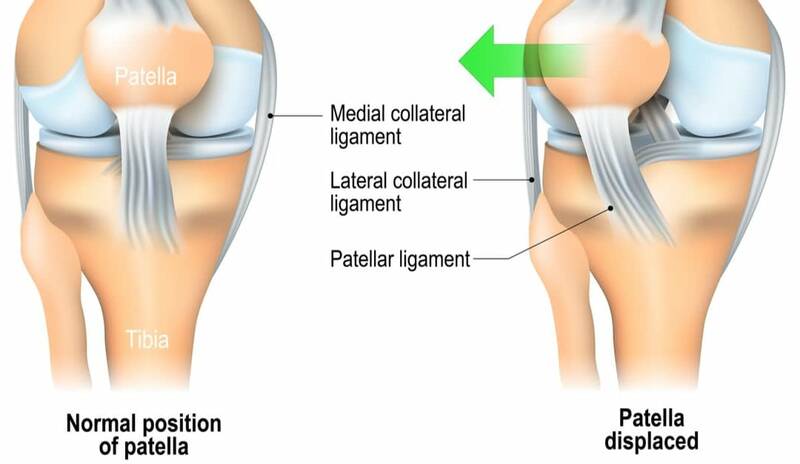 When the patella does not slide smoothly through the grove, the patella is said to be unstable and is at an increased risk to dislocate, known as a patellar dislocation. A variety of symptoms present after a dislocation. The key to effectively treating these symptoms is to first relocate the patella. This can occur naturally or might need to be done by and an orthopedic specialist. After relocation, a variety of treatment options are available. Physical therapy. 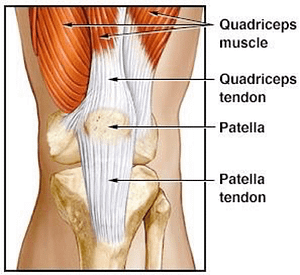 Strengthening the muscles of the leg help stabilize the patella—ensuring it slides perfectly through the femoral groove. A knee brace helps hold the knee in a perfect anatomical position. Because twisting, turning, and torquing movements are limited, the chances of dislocation decrease. Rest and activity modification. Sometimes, dislocations are caused by specific movements. Thus, activities in which these movements are performed may need to be stopped or modified. When repetitive dislocation occur despite non-surgical treatment, the condition is deemed chronic and may need surgical intervention. During the a surgical procedure, an orthopedic surgeon realigns the patella and tightens the tendons that hold it in proper alignment. However, this is only used in severe cases where the knee is deemed unstable. For this reason, it is better to seek treatment after the first dislocation as the anatomy of the knee can become more deranged after multiple dislocations. If you’re having patella dislocation problems, please don’t hesitate to contact our offices in Wayne, Clifton and Englewood, NJ. One of our orthopedic specialists will find out exactly what is causing your problem and come up with a solution that’s right for you. You should neither live with nor worry about your patella dislocating. The road to a full recovery starts when you walk through our doors.